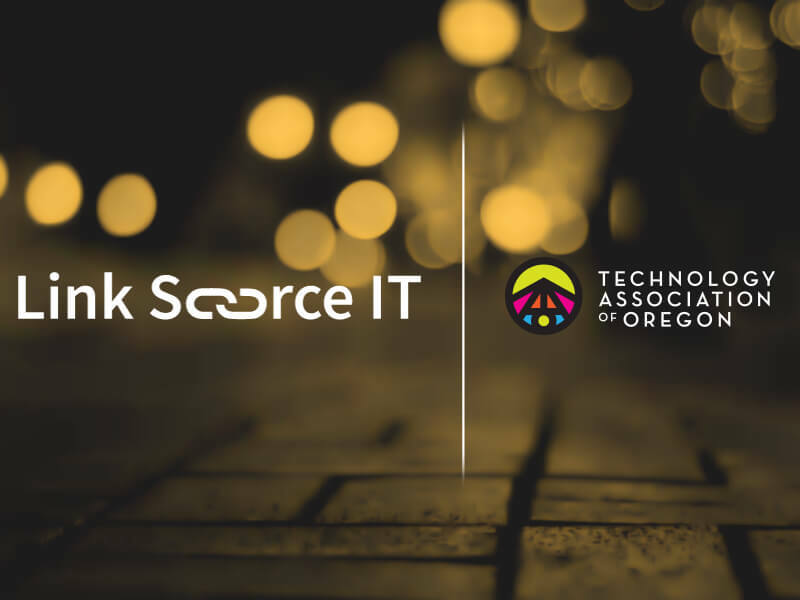 Link Source IT is pleased to officially announce membership in the Technology Association of Oregon (TAO). Link Source IT is proud to be a TAO member and is looking forward to driving a stronger, more connected community in Eugene and across Oregon. TAO is a local nonprofit working to build opportunities, better the economy and unify a voice for innovation. Link Source IT was founded in 2016 to be a complete, end-to-end IT services provider. They provide clients the highest degree of support for IT projects by offering solutions tailored to fit the unique needs of the customer organization. A personalized approach allows small to mid-sized companies to receive enterprise-class service while retaining excellent support. With over 50 years of combined experience assisting business with security and information management needs, Link Source IT has the knowledge to help companies face today’s complex information technology challenges. Co-founders Lincoln Christensen and Don Chappell had envisioned a company that would address organizations’ technology needs in a way that was absent among IT providers in the Willamette Valley. “What I love most about this business is talking with my clients, listening to their concerns and finding the right solution. Our relationship and ensuring they get the best return on their investment means more to me than the bottom line,” says Christensen. In just two years of business the company now actively sells to customers in all 50 US States. Link Source IT has successfully helped companies manage their hardware, software and IT service needs while continuing to offer fair prices and excellent responsiveness. In one notable example, a state government agency had been pursuing an expired security subscription with another vendor for six months. Their protection had long since expired, leaving the department vulnerable to cyberattack while the incumbent vendor passed their account from one sales rep to the next. Fed up with the unresponsiveness, they reached out to Link Source IT and had their licensing trued up, security reinstated and all invoicing prepared and sent by the next business day. Partnering with TAO was an early goal for Link Source IT. TAO hosts more than 80 events each year in Oregon and Southwest Washington and represents more than 50,000 technology employees. Being part of the larger tech community is important to each member of Link Source IT and working alongside TAO provides another avenue to connect the Right People to the Right Solutions.